CARBON BLACK DISPERSION TEST APPARATUS use to determine the uniform dispersion of carbon in plastic material free from white streaks and pits. 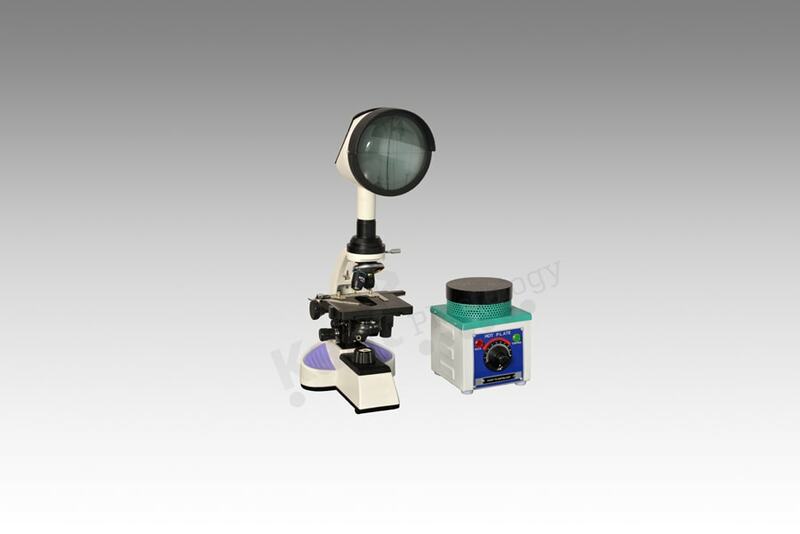 Through our dexterous professionals and inventive workers Kant Plastology brings the exclusive range of CARBON BLACK DISPERSION TEST APPARATUS with very sleek and elegant look of microscope with higher accuracy of 20X magnification, Advancement in Illumination through white LED light for better prospective results. Artistic design of Hot plate with super heat control though blind regulator. Kant Plastology also provides Glass slides & S.S. Forcep to conduct the test.